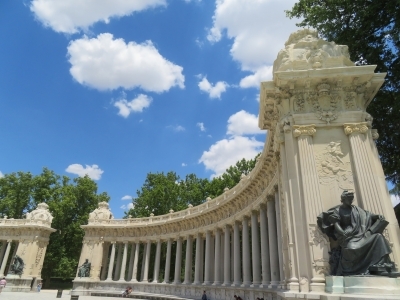 Site of the Retiro and the Prado in Madrid is part of the Tentative list of Spain in order to qualify for inclusion in the World Heritage List. I've been to Madrid many times over the years and on each occasion I take time to walk the length of Paseo del Prado from Plaza de Cibeles to the Atocha train station. It must be one of the most visually attractive boulevards in all of Europe. It is home to exceptional art museums, magnificent architecture, and plenty of things to catch your eye. 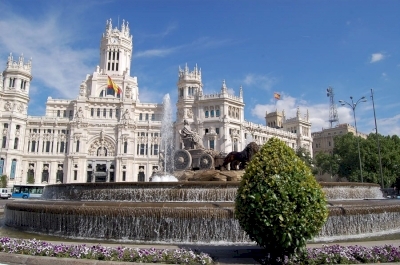 The stunning Palacio de Cibeles is one of the iconic sights of Madrid; the grandiose architecture is curiously discordant with the building's original unglamorous purpose as the headquarters of the Spanish Postal Service. Definitely step in to admire its Art Deco interior and ascend to the mirador for great views over the city. The other "bookend" of this stretch, Atocha, is one of the great European train stations, also worth an extended look. Museo del Prado is among the greatest art museums in the world, worth the price of admission just for its collection of Goya and Velasquez, not to mention its other many treasures. Museo Thyssen-Bornemisza offers another superb art collection. And Museo Reina Sofía is primarily famous for exhibiting Picasso's Guernica, but if you are into modern art, you will find a lot of other works of value in its collection. These are just the most obvious points of interest, but there are also eye-catching fountains, a beautiful botanic garden, and several other striking specimens of Art Deco. Puerta de Alcalá, a couple of blocks off Paseo del Prado at the corner of Parque del Retiro, is the oldest post-Roman triumphal arch in Europe, also worth a close look. The Retiro park is, of course, a key part of this tentative WH site itself. It has everything one might expect from a major public green space inside a large city, and more: plenty of serene pathways, plenty of monuments and statuary, occasional grand architectural features, a pleasure lake, playgrounds, and other diversions. On a sunny weekend afternoon, you may feel as if all of Madrid has gathered here. Madrid is among my favorite cities, one of the most monumental and impressive capitals of the world. That is due in no small part to the sights of Prado and Retiro. The WH property will get 4 stars from me when inscribed. There are 3 world class museums on the Paseo del Prado which form an integral part of this property. Referred to as the "Golden Triangle of Art" these museums are vast collections of priceless works spanning nearly a millennia of artistic creations. Each museum holds icons of European art, unquestionably. One of the foremost is Guernica by Pablo Picasso. There are countless other masterpieces worth noting by Dali, Goya, Bosch, Dürer, and El Greco. Cumulatively these 3 museums take in about 7-8 million visitors per year. Each building has its own history as well, the Prado opened its doors in 1819. Reina Sofia is located in the former General Hospital of Madrid which was built in the late 18th century. The Thyssen-Bornemisza was previously known as Villahermosa Palace. The second key component of this property is Parque del Buen Retiro. This public park, with a royal background is about 40% of the size of Central Park in New York. Within the park are the Velázquez Palace and Palacio de Cristal, which now are primarily used for art installations. The Monument to King Alfonso XII (pictured) is quite stunning in its location overlooking the gorgeous artificial pond. The park is utilized well by the people of Madrid. At any given moment, you will see picnickers, joggers, walkers, and lovers. I was fortunate to stay only 15 minutes from the park and I thoroughly enjoyed my walks here in the morning and at dusk. There are other important sites worth mentioning, but the special one for me is the City Hall, which also houses a cultural centre called CentroCentro (formerly known as Palacio de Cibeles). The terrace on the rooftop is an ideal place to grab a drink and enjoy the many delights of Madrid.